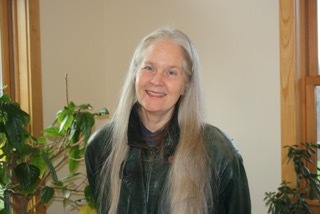 The Trumansburg Conservatory is pleased to present noted Ithaca poet Mary Gilliland for “Litanies & Labyrinths,” a two-part day of writing and reading on Saturday, November 19. From 2:30 to 4:30pm, Mary will guide participants in joining the image of the labyrinth with the generation of list-poems. Participants can write in any genre they choose—prose or poetry. Mary writes, “A labyrinth is a magical single-path maze. In the labyrinth, you already have the thread that you can follow to the center. Most of our lists are temporary, meant to be crossed off and discarded. But there are lists that are not discarded, lists that people remember, that they read or chant over and over—litanies. This workshop provides a space where participants self-select writing topics, and then step themselves out of the way of litanies that ask to be composed, changed, and charged with energy.” As time allows, the group may also read and reflect about poems and prose that is generated. Space is limited for the workshop, so please call 607-387-5939 or e-mail skl.tcfa@gmail.com to register. The workshop fee is $10. At 5pm on the same day, TCFA will present “A Reading by Mary Gilliland.” Mary will read and talk about some of her own work that originated as lists or was written as litanies. Admission to the reading is free—donations gratefully accepted. These events are funded in part by Poets & Writers, Inc., with public funds from the New York State Council on the Arts (NYSCA) with the support of Governor Andrew Cuomo and the New York State Legislature.